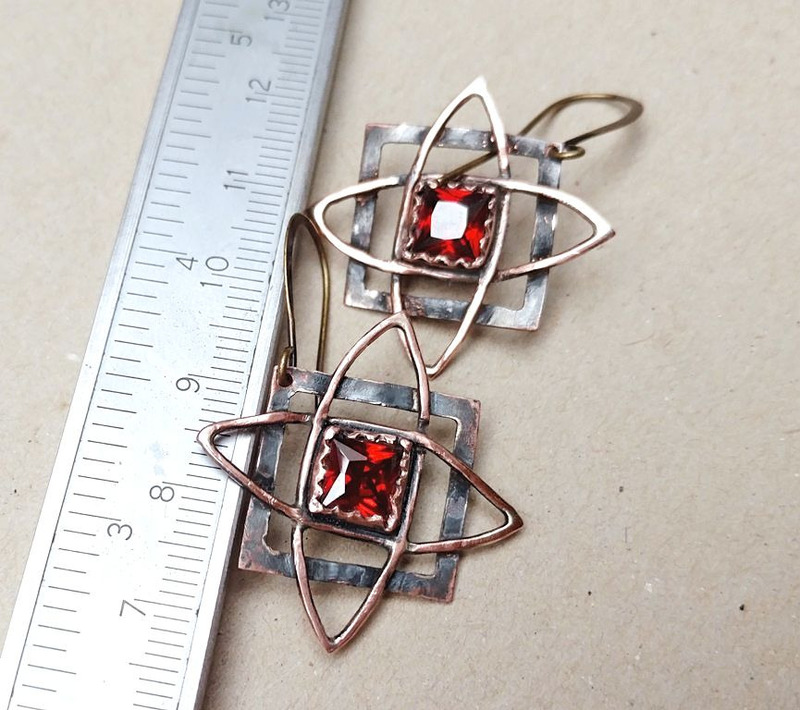 Copper Star of Svarog earrings, red garnet, 4 cm square dangles with 6×6 mm square red garnets (lab created). 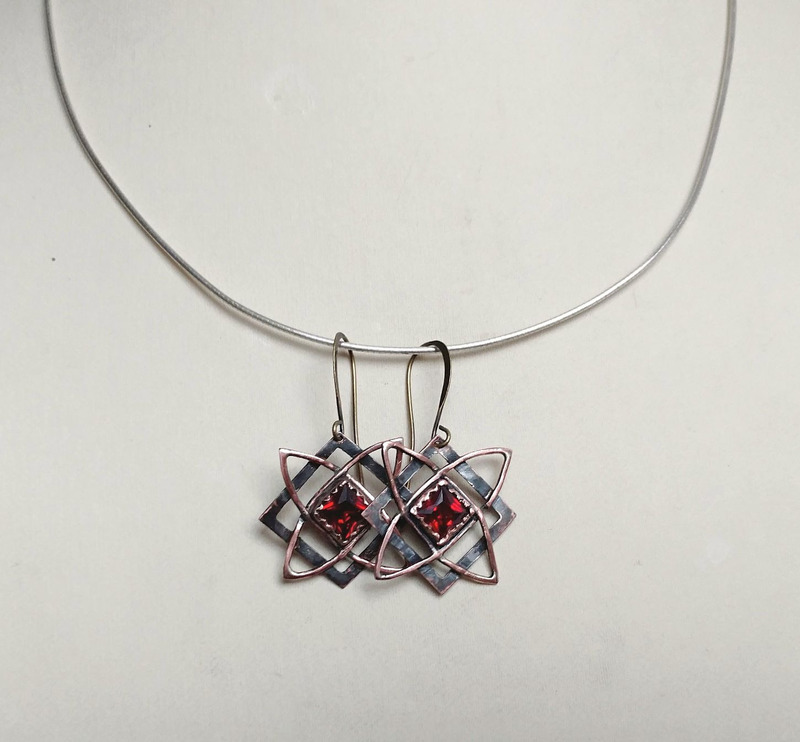 In the Slavic jewelry this piece is called the star of Russia or the star of Svarog. 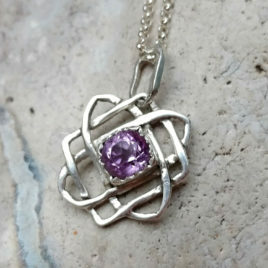 But this theme can also be found in the Celtic jewelry, with the Celtic knot being a famous representative. Svarog is the Slavic god of celestial fire and of blacksmithing. The Star of Svarog is a powerful amulet. It a symbol of the unity of the three worlds. Of earth and fire. This is a powerful amulet both for men and women. 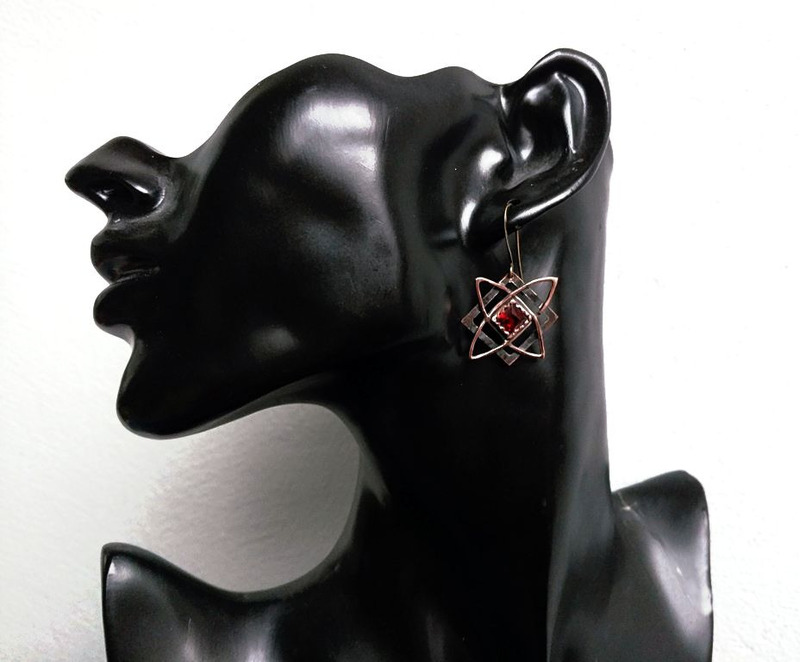 The Copper Star of Svarog earrings have been oxidized and selectively polished. 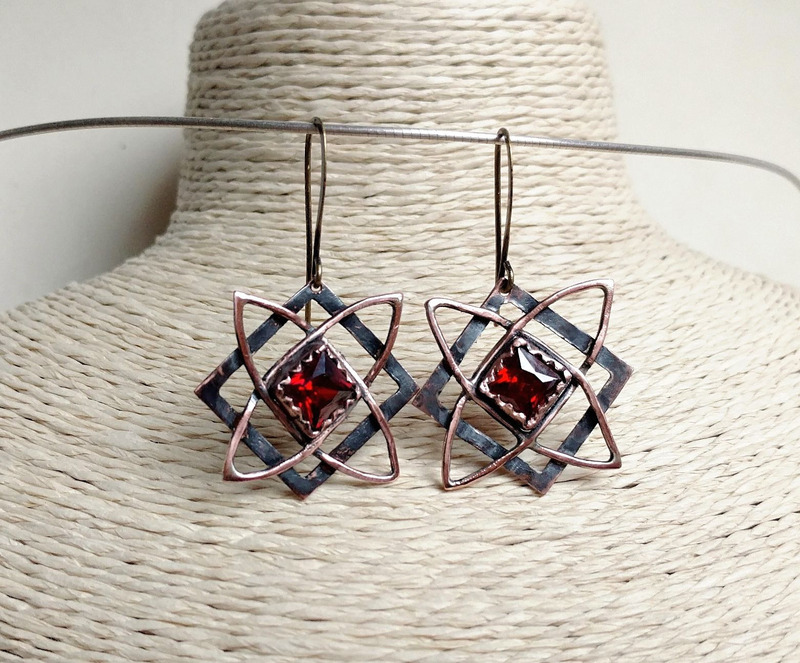 These Copper Star of Svarog earrings are very light and sparkling, also light to wear, exert no pressure on the ears. The ear-hooks are from bronze. 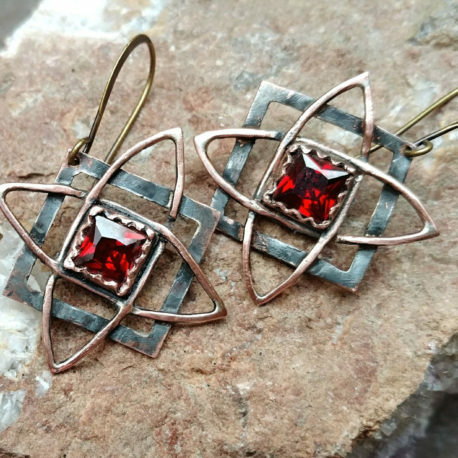 Legends and folklore place garnet among the most ancient of talismans. 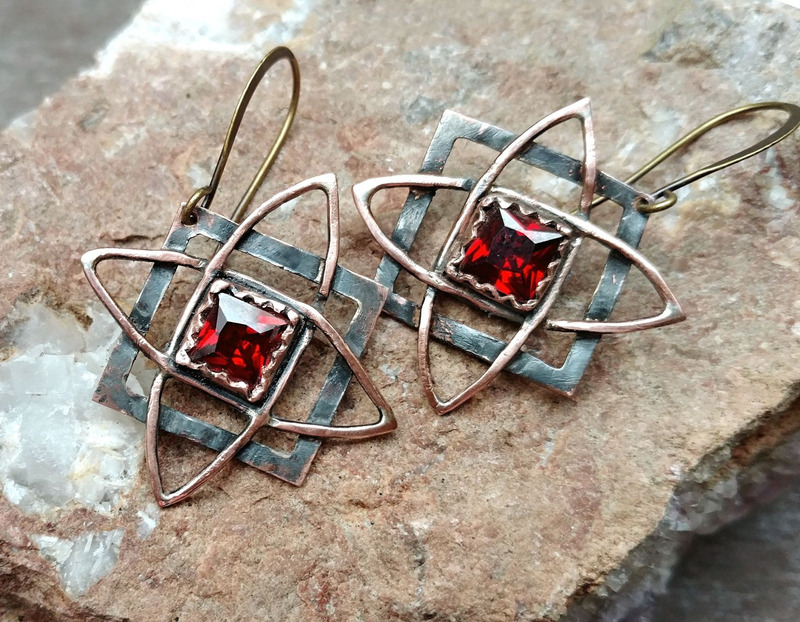 The name of Garnet is derived from the Latin name Granatum, a pomegranate, because of the resemblance the granular varieties of Garnet bears to the seeds of that fruit. 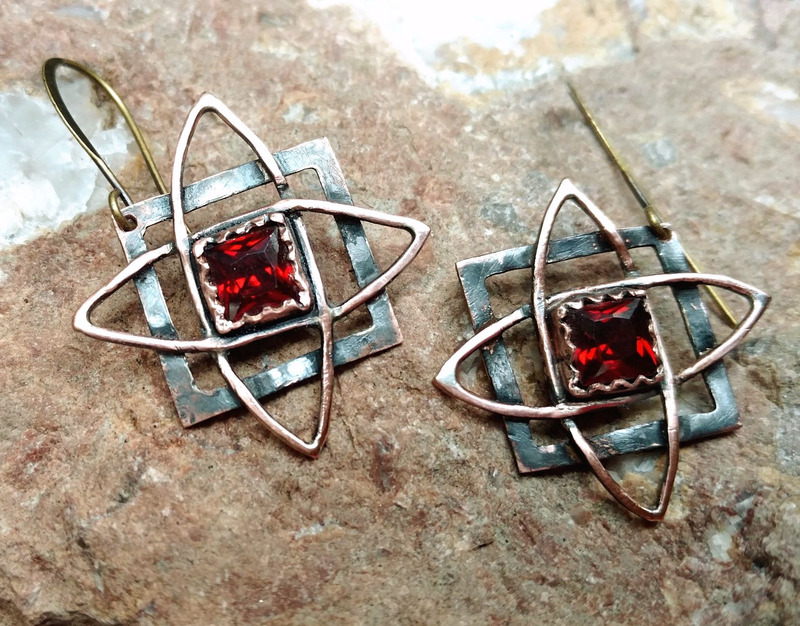 Almandine is actually the “basic” garnet. It unites the energy of scarlet and red with the more muted, earthy overtones of brown. It is intimately tied to the Earth, and is a talisman of protection and unyielding strength, increasing willpower and resistance to all things negative. It aids circulation and all blood related issues. 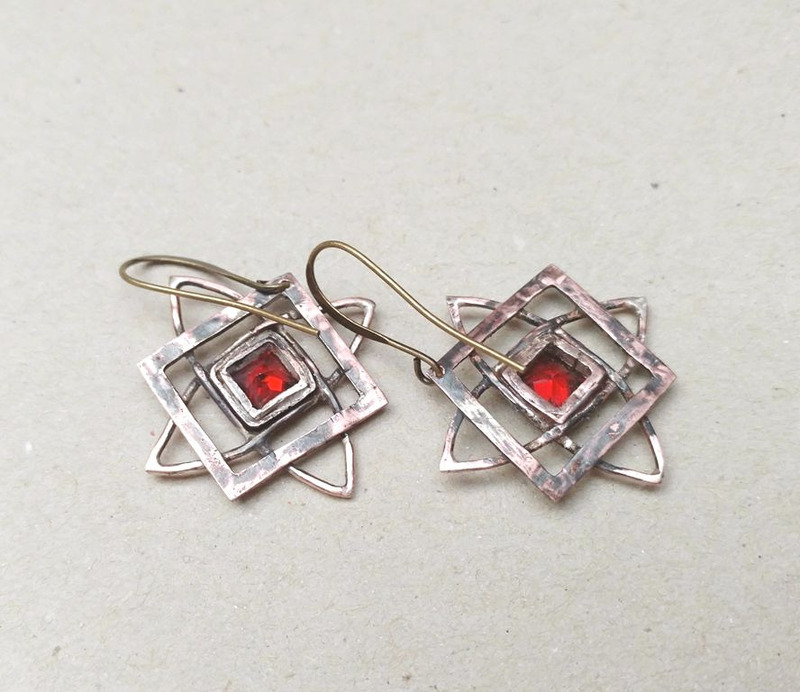 Associated with the First Chakra, it is a stone of physical love and relationships, and a spiritual stone of psychic protection. It is the birthstone of the month of January.